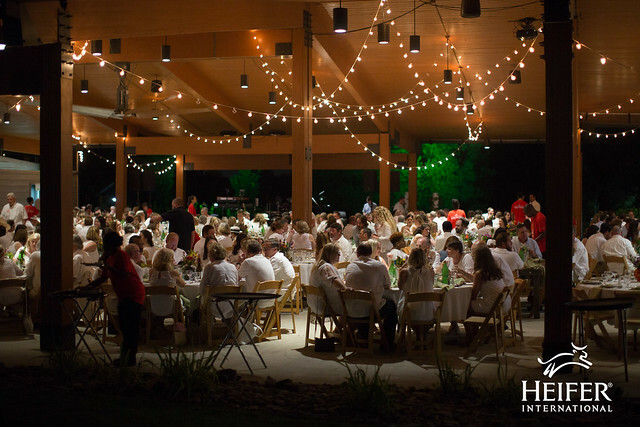 If you are interested in sponsorship or volunteer opportunities, please email feastinthefield@heifer.org. Farming, especially on a small scale, is a hard way to make ends meet. Most farmers are forced to supplement their income with off-farm jobs, taking time away from the farm and their families. Heifer USA helps bring farmers together to build rural, farmer-owned cooperatives in communities that need them most. These cooperatives provide shared services such as marketing, packaging, distribution, credit and loan services. Feast in the Field is a zero-waste event. This means the event is powered by our own solar panels, materials are reused or recyclable, and all food and liquids will be composted at Heifer Urban Farm. As part of our commitment to care for the Earth, we are dedicated to using eco-friendly, sustainable practices in all areas of our work.